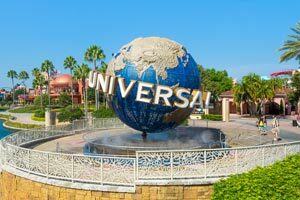 Located in Orlando, Hyatt Place across from Universal Orlando Resort is a 4-minute drive from Orlando International Premium Outlets and 6 minutes from Universal’s Volcano Bay™. This family-friendly hotel is 2.6 mi (4.3 km) from Mall at Millenia and 2.7 mi (4.3 km) from Universal Studios Florida™. Make yourself at home in one of the 151 air-conditioned rooms featuring refrigerators and flat-screen televisions. Your bed comes with down comforters and premium bedding, and all rooms are furnished with sofa beds. Premium TV channels and DVD players are provided for your entertainment, while complimentary wireless Internet access keeps you connected. Bathrooms have designer toiletries and hair dryers. Take advantage of recreation opportunities including an outdoor pool and a fitness center. Additional amenities at this hotel include complimentary wireless Internet access, concierge services, and a television in a common area. Satisfy your appetite at the hotel's coffee shop/café. Wrap up your day with a drink at the bar/lounge. Buffet breakfasts are served on weekdays from 6:30 AM to 9:00 AM and on weekends from 7:00 AM to 10:00 AM for a fee. The preferred airport for Hyatt Place across from Universal Orlando Resort is Orlando, FL (MCO-Orlando Intl. ).